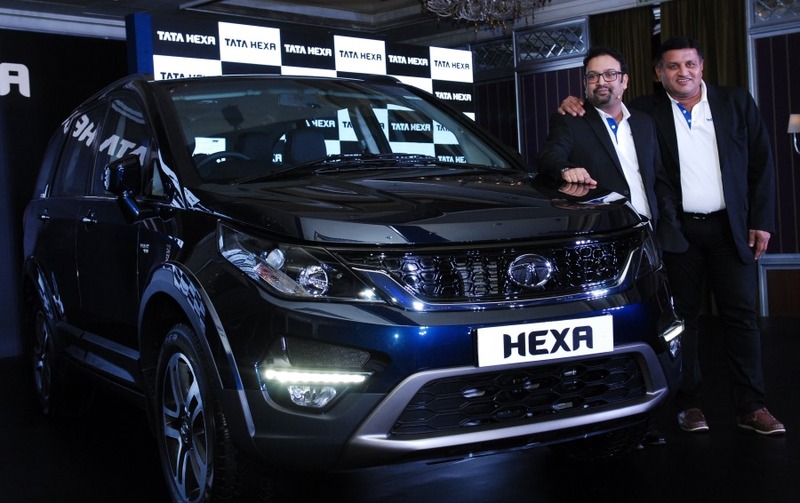 Tata Motors today announced the commercial launch of its much awaited ‘lifestyle vehicle’ HEXA – a power packed, feature loaded and adrenaline pumped vehicle, designed for those with an active and dynamic lifestyle. Based on a new versatile platform – the HEXA is a complete vehicle package, with an exceptional combination of design, luxury, off-road and on-road capabilities, boasting modern and exciting architecture, plush interiors and next-generation connectivity and performance related features, enhancing the functionality of the vehicle. The HEXA is introduced at a starting price of INR 12.25 lakhs, ex-showroom Bangalore for the Manual Transmission variant and INR 15.16 lakhs, ex-showroom Bangalore for the Automatic variant and will be available in over 300 sales outlets, across the country. The HEXA takes our IMPACT design philosophy to the next level. At Tata Motors our new offerings are designed to stand out from the crowd and the Tata HEXA with its muscular and stylish appeal, represents contemporary luxury, perfectly exemplifying our new IMPACT design philosophy of making the First Impressions last over time. The HEXA represents TMLs intense design focus and the next steps in our transformation journey. We are confident that the HEXA’s strong and distinct character will make it stand out in this highly popular but immensely competitive SUV segment.